Sandy is a dear friend, that I see at almost every Thursday Knit Nite. She brought me a “store bought shawl” and asked if I would create a pattern for her. The shawl fit her perfectly, but… yarn was icky and she had other colors in mind. So I created this pattern especially for her! 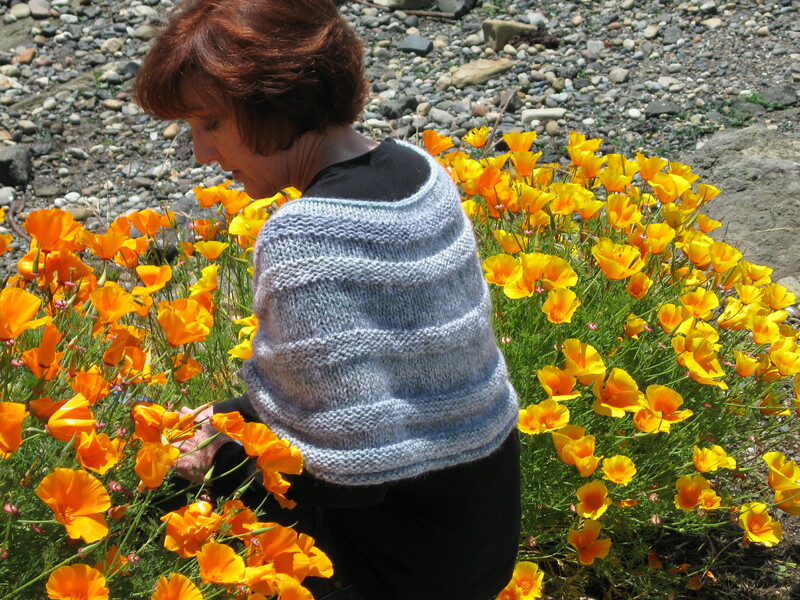 The shawl is simple to knit using stockinette/reverse stockinette to create a horizontal ribbing pattern. 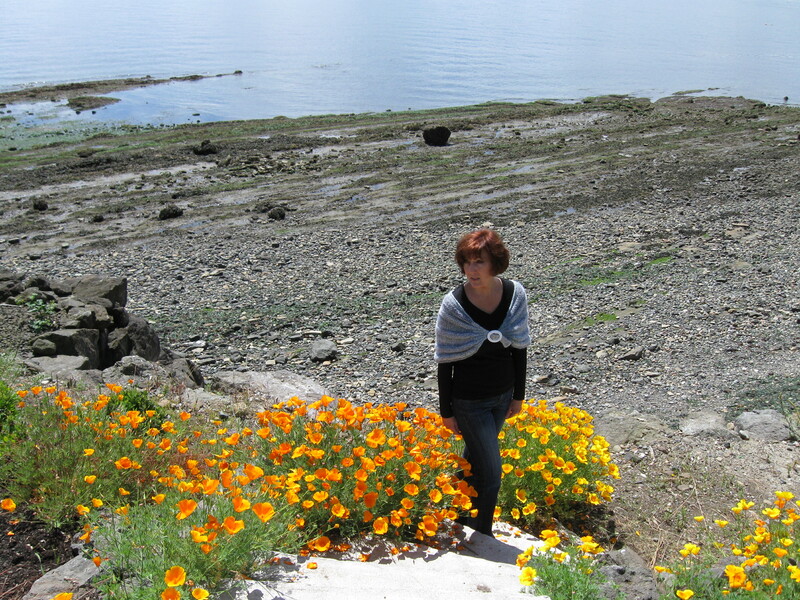 There are decrease that shape the shawl so it sits comfortably on your shoulders. The front has picked up edge stitches for the buckle band. 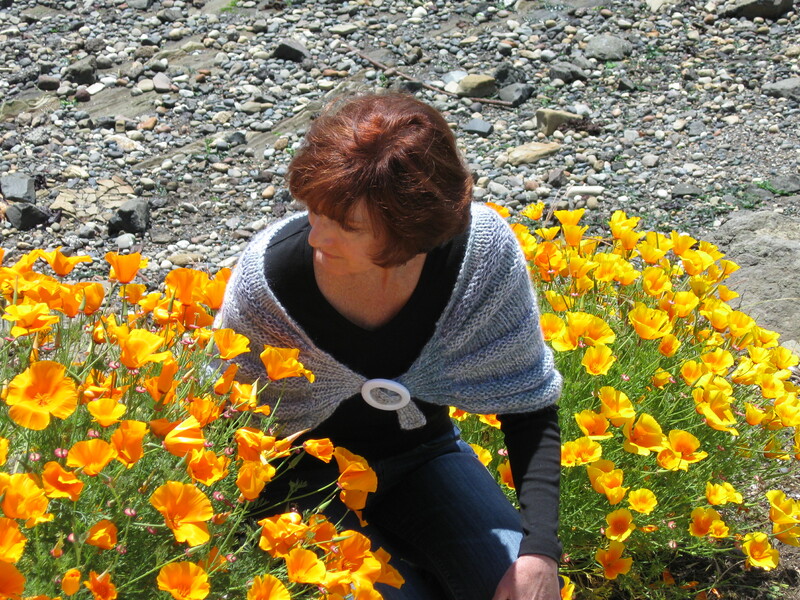 The buckle band is a really fun element that is different from most shawl closures. Carrying the yarn “Party Angel” with the Encore adds just that extra touch of sparkle and softness. Special and fun with just a bit of sparkle……like my dear friend Sandy!! !